On November 4th, one of the referenda that voters will approve or not concerns Paid Sick Leave. Charlie Baker stated that he will vote “no.” He approves the concept, he has said, but not the specifics. That was bad enough,. It allowed voters to conclude that he isn’t committed to a policy they very much want. Paid Sick Leave looks like it will get a “yes” vote by more than two to one — 56 to 25 in a recent UMass poll — putting Baker very much on the wrong side of a paycheck issue. Not good. Baker has now offered his own Paid Sick Leave (PSL) plan, and it compounds his mistake. The Baker PSL plan offers it to employees of companies with 50 or more workers; the ballot question applies to companies with as few as 11 employees. Who the blazes advised Baker to cut out the thousands of workers who toil for companies employing 11 to 49 people ? Baker’s plan gives workers even in companies employing 50 people or more a weaker PSL. It doesn’t begin to accrue for three months, where the ballot referendum begins it immediately; and that they can gain PSL only one hour for every 40 hours worked — the ballot question pegs it at one hour to 30. How petty can he get ? Politically, Baker’s plan undercuts his own campaign. To what purpose has he campaigned intensely in the big cities, every day, to communities of color (COCs) — where workers have the lowest rates of PSL — if he now offers them a PSL plan that gives them less than they are going to vote in favor of at the same election as Baker’s ? And COC voters WILL know the difference. Because the Coakley campiagn will make them know it. Her people are already on it. Until the PSL issue burst forth, Baker had Coakley smothered. She had no opening, nothing to attack; on every major issue, Baker either seemed to have a better answer than Coakley, to be more authoritative,as progressive socially; or, on initiatives, to offer an alternative at least as beneficial as any of Coakley’s if not more so. Baker’s vision was broader, his articulation of it clearer, than anything Coakley tried to say — and most often, she didn’t even try.And on most matters, all of that is still true ; Baker has by ar the stronger agenda for reforming Massachusetts government. Now, however, inan election too close to call, Coakley has her opening, on a bread and butter issue that even she can articulate, and is articulating. Baker’s timing could not have been worse. These three weeks are the time in which almost all voters are solidifying their choice. Michelle Obama comes to Boston on Friday to boost Coakley’s standing. Unions are much more potent, politically, than they were when Baker last ran in 2010. Into all of this momentum and organization, Baker has now wrong-footed himself. He has no excuse. The very intensity of his face to face campaign in the cities assures that he knows very well what is happening and what city voters are thinking. For all his bartending at guy bars, seeking the sports dude vote, where few policy matters are discussed and politicians in general are talked down — most of it bull-bleep — Baker has also talked aplenty to voters who have paycheck concerns. He cannot say that he doesn’t know the score. He has given half a loaf to voters who want all-in. On an issue where every voter can count the difference. Baker also knows well that very few union endorsements have come to Coakley. He has tried to romance some of the key unions still uncommitted. How does he win their endorsement now ? The membership of wht union will tolerate theior leaders endorsing a candiate who offers half a PSL loaf instead of all-in ? Baker has also worked hard to assure Boston Mayor Walsh that he will be an ally and even a partner. 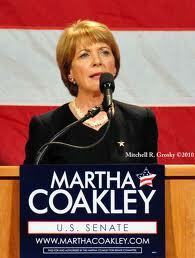 So far, Walsh has not lifted a finger for Martha Coakley. But unions are Mayor Walsh’s core constituency. how can he now stay on the sidelines as so far he has pointedly done ? Baker has now put himself on the defensive in a state where a non-democrat has scant margin to do so even for a day. What opponent’s mole seduced him to do this ? Who in his campaign didn’t veto it ?